There are still plenty of gems around the city to be discovered. Below are some of the highlights, from historic quaint taverns, to some more modern public houses. The White swan, in the heart of Portsmouth, is a fantastic venue for real ales, freshly cooked meals and has a great relaxed/homely atmosphere. The White Swan is Portsmouth’s first craft beer pub where you will be able to enjoy a pint in the same place that it has been brewed. 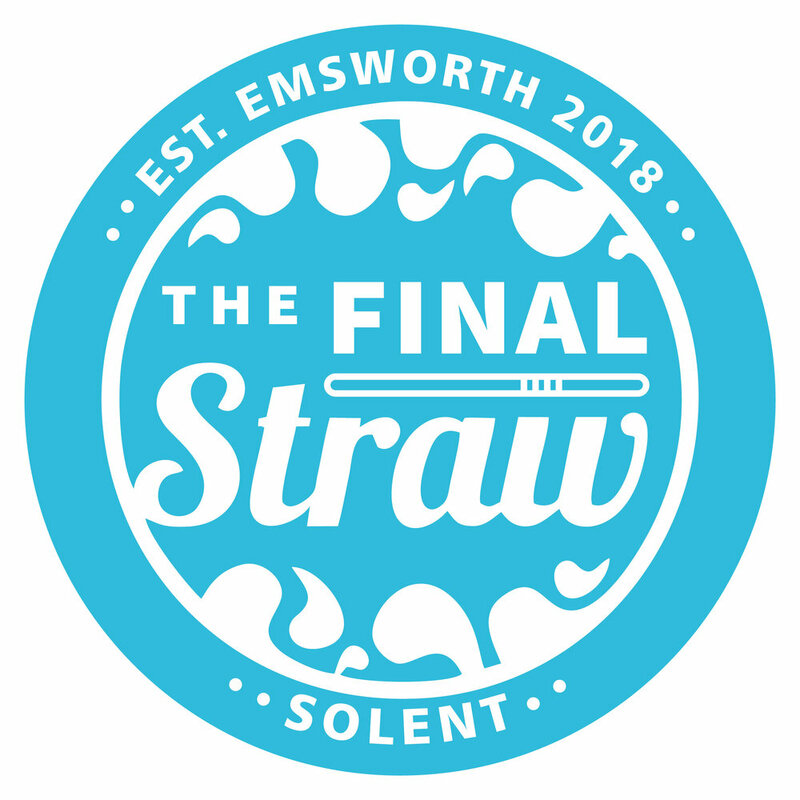 As well as the many award-winning drinks from around the UK, the White Swan will also be producing a number of unique beers and ales created on-site. Local favourite Katy Sexton, Portsmouth’s world champion swimmer, will be honoured by the firm with her own beer named ‘Sexton’. Abarbistro, located on the bustling and historical camber dock, is the perfect place to unwind and enjoy great food and drink, with a glass of wine, one of many delicious dishes, and the comfort of light and airy dining rooms or the secluded sunny garden. Upstairs at Abarbistro is Camber Wines, offering up an unmatched range of wines for all palettes. Locals Tip: Seasoned wine aficionados are on hand at Abarbistro and Camber Wines to pick out the best wine to go with what you’re eating. If you’re dining, just ask for the wine-matching service! The Jolly Sailor is a bar and restaurant in Clarence Parade, Southsea, which has rapidly established an enviable reputation on the south coast for providing excellent food, top class service, and regular live entertainment. The gastropub offers a wide variety of food, all of which is cooked fresh on-site daily by the TJS chefs and sourced locally. A range of meats are brought in from award-winning Southsea favourites, Buckwells Butchers of Osbourne Road. On Sundays, TJS offers a choice of succulent roasted joints including tender cornish beef, glazed gammon, and crown of Hampshire turkey, with a choice of fresh vegetables and goose fat-roasted potatoes, lashings of home-made gravy, and all the trimmings, for the fantastic price of £7.95. Right on the Camber Dock, in the centre of Old Portsmouth, the Bridge is a great place for a pint after a hard day’s sailing! Its waterside location makes it popular with sea-lovers. With plenty of space inside and out, and something for everyone on a varied menu, The Bridge Tavern is the perfect spot for a family get-together in all seasons. Locals Tip: Grab a pint, take a seat, and watch the fishing boats mill around in one of the most historic parts of the city. The Dolphin has been serving the community of Old Portsmouth since 1716, and always boasts a fantastic selection of real ales to down in one of three main drinking areas, alongside a restaurant in the rear of the building. Launched in 2004 in the retail premises formerly occupied by the owner of the One Eyed Dog at the other end of Elm Grove, this pub features a single large bar room with a scrubbed floor and basic furnishings, and is quite popular with students, often playing rock and pop music over the speakers. Known for serving Ringwood ales, and having a get-every-11th-drink-free loyalty card system. A Fuller Smith & Turner pub, The Golden Eagle features two bars and a pool room, and the street-corner room acting as the main seating space. Regular guest beers are offered as well as a selection of cask ales. Part of the All Bar One national chain, this Gunwharf Quays branch opened in December of 2010 in the former premises of the Ha Ha Bar, offering a large open plan in a single bar room, divided into two separate areas. There are a myriad of beers and wines available, including ales and foreign specialities. All Bar One looks out onto Portsmouth Harbour beside the Spinnaker Tower, so you can drink while admiring the vistas of the sea which surround our island city. A Fuller’s pub, and one of the best-known in Portsmouth, largely for its outside views over Portsmouth Harbour, where you can sit and watch the ships coming and going while you relax with a drink. The interior is quaintly adorned with lots of exposed wood and nautical decor. Locals Tip: The pub has an amazing, panoramic view of Portsmouth Harbour. A great way to waste many hours; watching ships enter and exit the harbour. Named after the monarch who was assassinated not too far away, this Old Portsmouth pub features a bar area split into a small handful of identifiable sections, a separate pool room, and an outside smoking area at the rear, and returned to its original name of Duke of Buckingham after being temporarily renamed ‘Buckingham’s’ during the 1980s. The result of a unison between two older pubs, The Lone Yachtsman and The Coal Exchange, in 1991, this is another Old Portsmouth pub which looks out over the mouth of the harbour, and stands mere metres away from the Still & West. A wonderfully pleasant place to enjoy a harbourside drink. After trading from its street corner since Victorian times, The Lawrence Arms has become a gorgeous little pub with all the expected niceties — Sky Sports, real ales, a pool table, a dartboard, and a child-friendly atmosphere, including a playhouse for the youngsters in the rear garden during the summer. The Lawrence Arms is renowned for their ‘Lawrence Toasties’. Resting behind The Kings Theatre, The Phoenix features an L-shaped bar with a patio courtyard and a separate games room, with real ales on offer. A space in the pub is used as a stable for horses when The Kings Theatre uses the animals in their productions, most commonly at Christmas for their pantomimes. 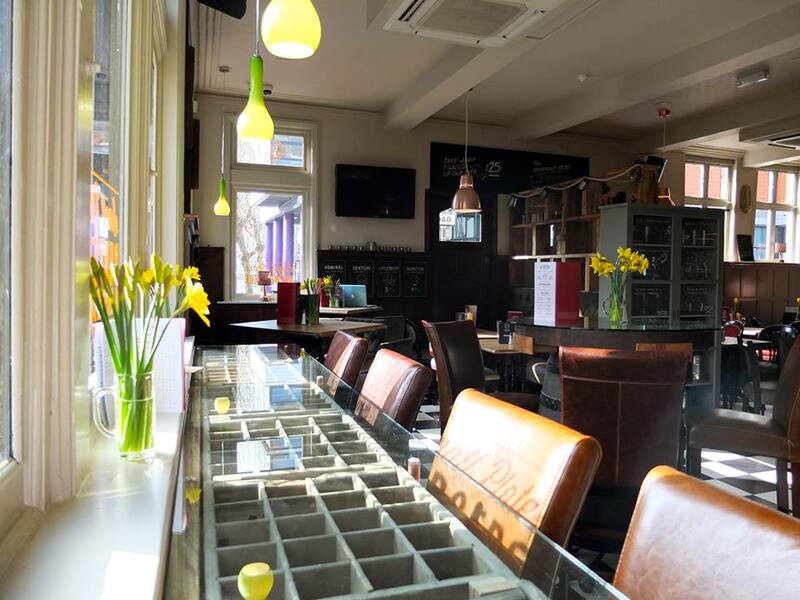 A comfortable two-bar pub with an outside patio area and good-quality real ales on sale, which often gets rather busy before football games due to its close proximity to Fratton Park. The pub has quite a strong community feel to it, plus, a pool table, dartboards, and outside heaters during the colder times of the year. With a striking façade and an interior split in several separate areas, The Leopold Tavern serves up a selection of quality ales and are known to specialise in beers from local microbreweries, alongside vodkas, whiskeys, and rums. There’s a secluded beer garden that’s perfect for those looking to drink outside or have a smoke. With real ales and ciders and cocktails, regular pub quizzes and pub games, and frequent appearances from various DJs bringing lively music to the venue, which is especially popular with students. Quite the traditional local, The Hole in the Wall serves a constantly-changing selection of cask-conditioned real ales alongside ciders and ginger beer, in a relaxed, quiet environment. Locals Tip: The Hole in the Wall’s ceiling is a sight to behold, adorned with countless beer tap labels from a vast array of ales, bitters, lagers, and other alcoholic beverages. An interesting display to gaze up at whilst sipping your drink. Once you’re done chuckling at the pub’s witty pun name, you’ll be appreciating Sir Loin of Beef’s U-shaped bar area and beloved position in the real ale community. A free house that’s renowned as one of the best pubs to get ale in Portsmouth. Considerably popular with members of the Royal Navy, being one of the first pubs you see when leaving the HM Naval Base through the main gate, Park Tavern has a somewhat Victorian interior with an island bar at the centre of the pub. Porters is a large wine bar-style pub situated near the Wine Vaults with lots of exposed woods and simplistic furnishings, with lots of wines on offer, as well as some real ales and a typical comprehensive pub menu. The pub changed its name from Café Verde in 2008 to focus more on drinks than food. This small but popular venue in the south of Portsmouth offers a wide range of freshly-cooked foods, hot and cold drinks, and some of the best nightlife entertainment in the city. As well as being renowned for their vibrant nightlife, Drift has built up a powerful reputation as a place to relax during the day while enjoying delicious freshly-cooked bar snacks from a fantastic food menu.